In 2014, the California legislature created the Santa Ana River Conservancy Program within the Coastal Conservancy. Why a new Conservancy program and why one that extends so far inland? The Santa Ana River is the largest watershed in Southern California, draining a 2,650 square mile area from its headwaters near the San Gorgonio Wilderness Area in the San Bernardino Mountains down to the Pacific Ocean at the Santa Ana River Mouth in Huntington Beach. The Santa Ana River’s nearly 100 miles of flowing river runs through San Bernardino, Riverside, and Orange counties, an area that is home to more than seven million people and many underserved communities. While the region’s population is one of the largest and fastest growing in the state, it remains one of the most park-poor regions in California. With 75 percent of the nation’s population expected to live in urban centers by 2050, integrating nature into the future framework of our cities is increasingly essential for promoting public health, ensuring natural resource sustainability and providing for a continued connection to the natural world. The Santa Ana River Conservancy program was created in recognition of the many exciting ecological and recreational opportunities and pressing needs within the region. 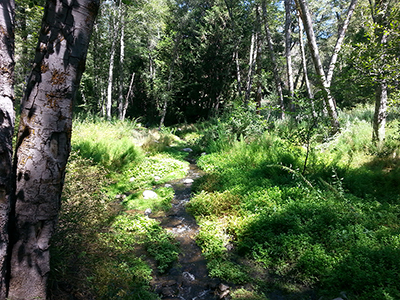 The program will address these through projects relating to open space, trails, wildlife habitat, agricultural land protection, water quality protection, educational use, and public access. All of these efforts demand cooperation across the numerous agencies and organizations already working to protect and promote the Santa Ana River. Watershed-wide collaboration supported by the Santa Ana River Conservancy program will help the Santa Ana River become one of the greatest recreational and natural resources of Southern California. 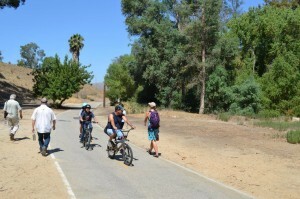 One effort for this new Conservancy is completion of the Santa Ana River Trail and Parkway, which has been under development for over 40 years. Once completed, the Parkway will extend 100 miles from the crest of the San Bernardino Mountains to the coast near Huntington Beach and will be one of the longest urban recreation and river parkways in the United States. The Parkway includes a multi-use trail serving pedestrians, cyclists, commuters and equestrians, and will connect a completed section of the California Coastal Trail to inland communities. The Coastal Conservancy has funded and managed hundreds of river and aquatic resource projects including trails planning and construction, interpretive facilities and programs, resource acquisition and restoration, and urban greening and waterfront development projects. Through the Santa Ana River Conservancy program we will be able to bring the experience and expertise of our staff, partner agencies and consultants together to craft and support a shared support the vision for the Santa Ana River.